Christina Georgiou, PhD student in the Department of Automatic Control and Systems Engineering at the University of Sheffield, explains how communicating a passion for engineering to the next generation of female engineers is a great way of encouraging smart young women into the discipline. She argues that contrary to this, well meaning initiatives aimed at women in engineering can be discouraging. 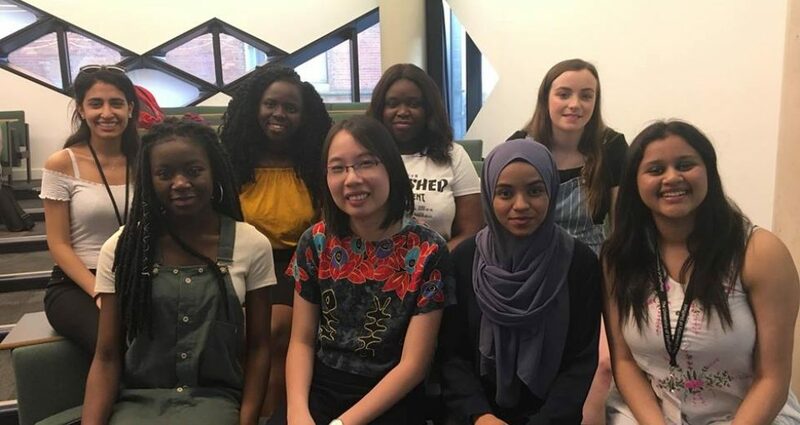 What better way to show young girls they can make it in engineering than having young enthusiastic female engineers breaking stereotypes and chatting to them? Coming up to my office door on a Monday morning, I was confronted with an A4 paper with large bold print: “Support session for female postgraduate engineers “. Being half-awake and eager to try and get some work done I walked past this, only to find the same topic in my inbox: “The seminar gave me that extra push I needed to achieve more, say more and have more confidence in myself”. Cheesy? Pushy? But I didn’t feel indifferent; I felt quite angry, frustrated and patronised. We had a chat about this with some female office mates and we all agreed: we wouldn’t go. We didn’t feel we needed help and we certainly didn’t appreciate being singled out as a group that needs extra support to make it. Being a woman in Engineering I am used to being bombarded with similarly phrased events and workshops. There will be women who need help and there are definitely few girls out there who choose engineering. My issue is the approach: you could easily scare girls off engineering by offering support to survive it when many women survive just fine, do well and enjoy the experience. By offering a support group, you associate being a woman in engineering with always needing help, not quite belonging. Is that how we want to sell this to young girls? I googled ‘women in engineering Sheffield’, and to my surprise found myself navigating through what has to be one of the best designed websites I have seen for a society: great logo and layout, friendly and above all, not a crazy feminist bunch, just a group of women that love engineering. I got in contact with them and found myself helping at an open day for year 12 girls. I was even more positively surprised: this was not an attempt to push girls to do engineering, talking about our struggles as women and saying they’ll make it. It was people sharing their love for their subject, discussing what we do: it was a normal open day. And it was fun! What better way to show young girls they can make it in engineering than having young enthusiastic female engineers breaking stereotypes and chatting to them? Christina Georgiou did her undergraduate degree at the University of Cambridge specialising in Information and Computer Engineering and is currently a second year PhD student at the Department of Automatic Control and Systems Engineering. Her research focuses on developing algorithms to help search and rescue robots explore and map disaster areas.